There is no limit to what products a customer need or use. There are lotions, creams, shampoos, etc that they need for personal care, then there are edibles like snacks, dry fruits, etc that they need for consumption purpose, and then there are medicinal tablets, health supplements, etc that they need for health purposes. So, in brief, there are several products that they use on daily basis and are not limited to just one industry, but many. So, it is important that these products must be enclosed in packaging that keeps them safe and secure and presentable for customers. We, at Paras Printpack, bring for you our comprehensive range of flexible packaging solutions that are perfect for all industry usages. Electronics & Automobiles: The electronic products being created using sophisticated technology in automobile industry needs to be delivered safely to end customers. For this to happen, what is needed is the packaging solution like Center Seal Pouch, Stand up Pouch, Side Gusset Pouch, Three Side Seal pouch, etc that keep your products intact. Personal & Home Care: What a Customer need most are the products that he/she use on daily basis. Whether it is personal care or home care, the products needs packaging that should be of quality material. Pouches like Shaped Pouch, Spout Pouch, Window Pouch, etc are suitable option for such products. 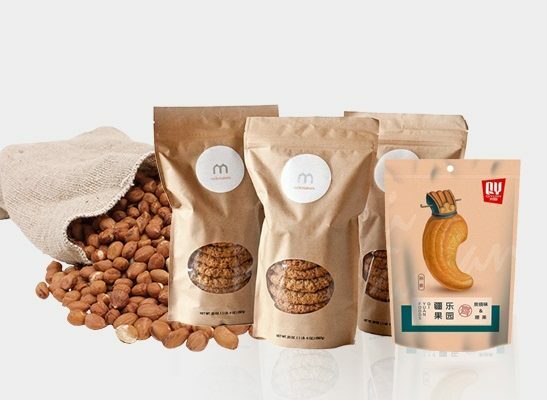 Agricultural & PET Products: With organic & nutritional products more in demand for living beings, the need for packaging solution that offer long term stability are required. 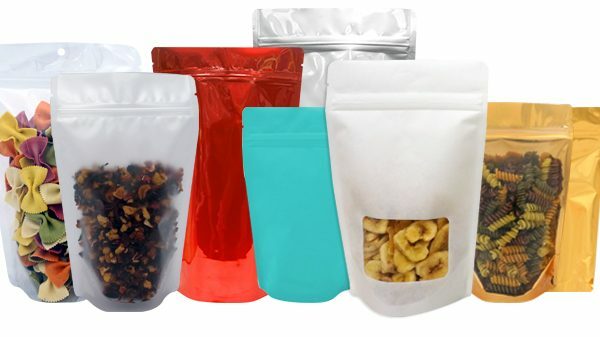 The solution that we have for this purpose are Stand up Pouch, Three Side Seal Pouch, Side Gusset Pouch, Center seal Pouch etc in printed & Unprinted form as per client’s requirement. Pharma Industry: The products like medicines, syringes and other medical supplies need packaging that is contamination-free, microbe-free and have long shelf life. 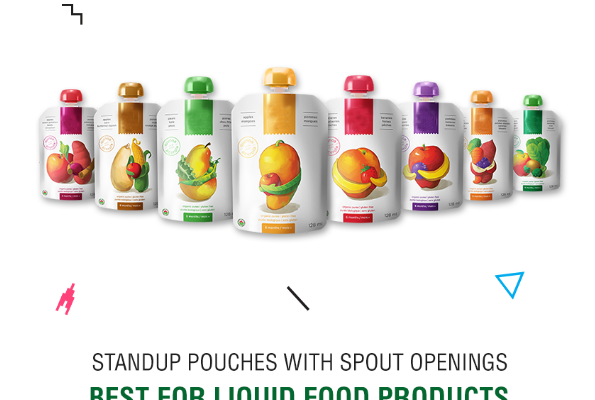 Food & Beverages: These domain needs packaging that are eye-catchy with aesthetic appeal, keep your product fresh with their oxygen and moisture barrier properties, light weight, spillage-free and take less storage space. 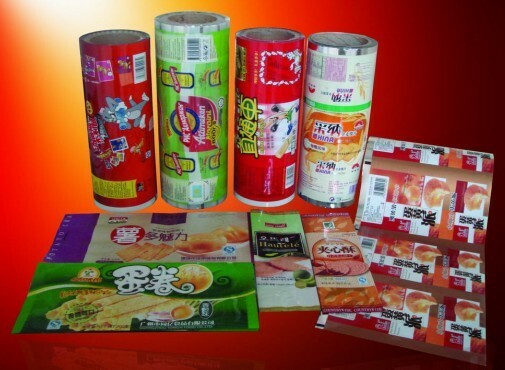 For this, we have flexible packaging pouches like Stand up Pouches, Spout Pouches that are available with or without gusset or spout. Additional features such as Tear Notch, Handle, Dori, Rivet, Zipper etc. For more information, on our packaging products range, call us on + 9810187055 or + 01206999150.